The HHA GIVE A BUCK!® Project. We are hoping that this project will turn into a massive operation as HHA Inc. seeks to enlist an army of folks across America who will devote approximately 5 minutes, "a buck" ($1), (please consider giving $1 monthly, by clicking on the subscription button after giving your donation). Proceeds will be used to gift churches and food banks with industrial freezers (see The Joe & Loretta Project below). In addition, HHA Inc. intends to develop initiatives with hunters and outdoorsmen across The United States with additional projects in the making. 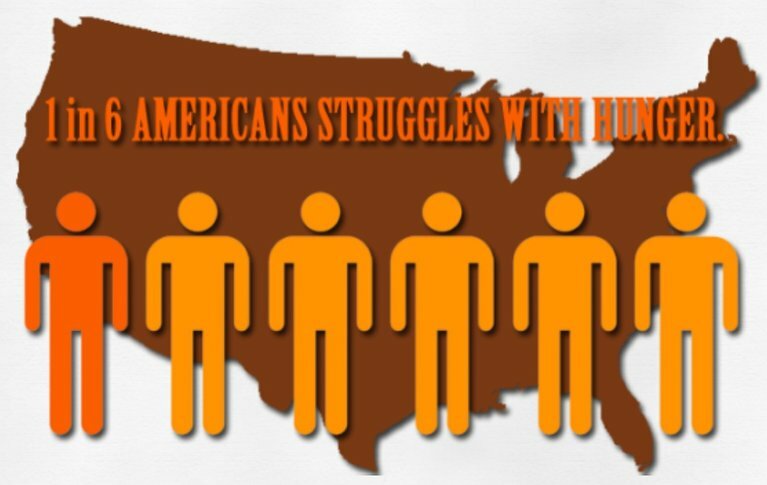 Hunters For The Hungry Of America, Inc. (HHA Inc.) Aims To Raise $1,000,000 To Gift Many Churches & Food Banks With Industrial Freezers ..... Launches, "The Joe & Loretta Project"
Nearly 15% of U.S. households struggle to put food on the table (that includes nearly 16 million children)! In a previous report from Fox News, it was reported how American hunters comprise of The World's Largest Army! ..... tens of millions of good-hearted folk, who are compassionate and mindful of our immense challenge of hunger in our nation. To Donate $1 (or more) via our HHA Give A Buck!® Program; simply click on the button just below. Thank you and may God bless you for your compassion; time, & generosity! 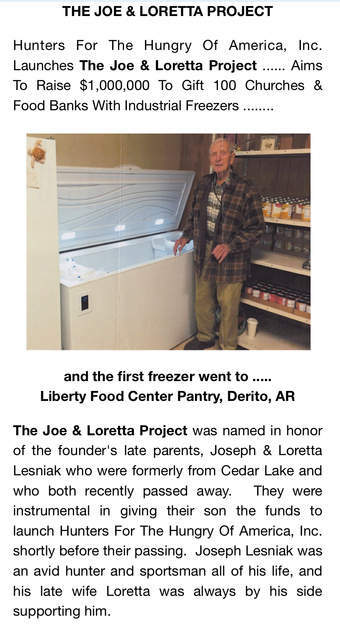 "The Joe & Loretta Project", was named in honor of the founder's late parents, Joseph & Loretta Lesniak who formerly resided in Cedar Lake, Indiana passed away a few years ago. They were instrumental in giving their son the funds to launch Hunters For The Hungry Of America, Inc. shortly before their passing. Joseph Lesniak was an avid hunter and sportsman all of his life, and his late wife Loretta was always by his side supporting him. Their son, David who lived with them and who was their caretaker during the months of their illness was formerly involved in online Christian broadcasting from their former Cedar Lake home. Lesniak had a change of direction when a few teachers from the radio stations that he had co/founded began to move in different theological directions. Lesniak, wanting still to reach out in a missionary capacity decided to utilize his networking calling to help feed the hungry. Due to extreme hardship and loss, not only in Dave's life but also in the life's of a few members on the board; Hunters For The Hungry Of America, Inc. after being legally chartered on July 12, 2011, is now finally, officially being launched. Currently, there is at least one church, located in El Dorado, Arkansas that is working on a regional, cooperative effort to assist the hungry in the northern part of that State which has benefited from The Joe & Loretta Project. Pastor Larry Hudson from Parkers Chapel First Baptist Church, is one of the leading coordinators for their regional food pantry and they need at least one industrial freezer. Churches or any 501(c)3 non-profit, community food banks are encouraged to contact David Lesniak through the Hunters For The Hungry website at www.huntersforthehungry.org if they too need an industrial freezer. 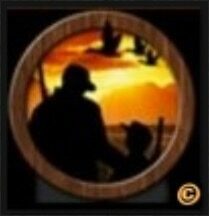 Hunters For The Hungry Of America, Inc.
Is A Christian Based, Non-Profit 501(c)3 Organization.